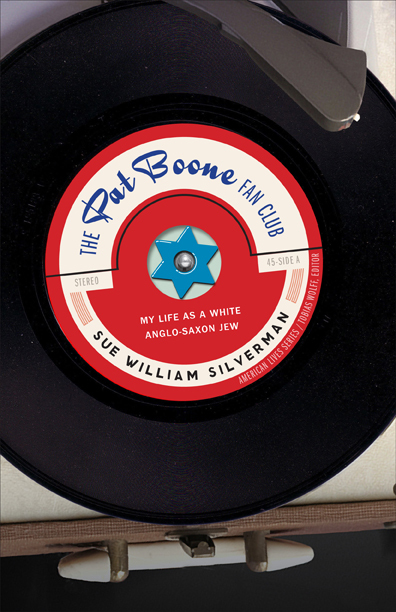 Brevity editor Dinty W. Moore interviews Sue William Silverman, author of the memoir The Pat Boone Fan Club: My Life as a White Anglo-Saxon Jew. Dinty: I was impressed by how you took a number of disparate moments from your life, spanning from your childhood in St. Thomas to events that occurred in just the past few years, moments seemingly unconnected except that they all involved you, and wove them together into what seems to me to be an entirely coherent whole. Did you begin with a strategy to accomplish this, discover your strategy along the way, or did it just arise and take over on its own? Sue: Thank you! I wish I could say I’d had a master plan for this book from the get-go. Instead, the project began with what I thought would be one individual stand-alone essay about a lifelong obsession with Pat Boone, prompted by a 2003 concert of his I attended, after which I barged backstage to meet him. (For those of you unfamiliar with Pat Boone – gasp?! – he’s a 1960s pop-music idol, now better known as an outspoken Christian conservative.) After I completed that piece, and because I didn’t envision another straight-through narrative on a single topic – like my two previous memoirs – I continued to write essays about all sorts of obsessions: Charlie Chaplin, a high school boyfriend who looked like Pat Boone, picking apricots in Israel where I fell in love with a paratrooper, and more. In the process, I played around with different voices and tones: ironic, funny, sad, etc. I was a few years into this project when I had an “a-ha” moment. I realized that in each essay – albeit approached from different angles – I was writing about a search for identity that evolved from a life-long spiritual crisis. This crisis was rooted in a childhood with a scary Jewish father and, thus, a concomitant desire to belong to the dominant Christian culture. Which explains my obsession with Pat Boone! In short, I was writing thematically linked essays, which could, with additional work, form a congruent whole. So I revised the existing essays in order to more forcefully focus on this theme. I also wrote entirely new sections to fill in gaps. And, finally, I included several “bridge” sections to tie the whole together. Dinty: In an interview some years back, you mentioned the persona challenge in writing your first book, Because I Remember Terror, Father, I Remember You. What you said was, “If, say, in my first book, I just whined and complained and wanted the reader, basically, to feel sorry for me because my father sexually molested me, well, really, the reader wouldn’t feel sorry for me! Sure, my therapist and best friend would care, but a general reader would not care.” This new book is so different, much lighter, often humorous. Was crafting the right voice or persona as difficult in this book? Sue: Yes! To me, generally speaking, voice is probably the most crucial element in writing, and, at the same time, the most elusive. The main challenge in this memoir was finding the right voice(s) for the sections. Thank you for seeing the humor! At its heart, the book revolves around three different times I met Pat Boone, and I found it difficult to find the voice(s) to write about him both ironically and, well, not. I mean, I did have a wild crush on him growing up. His presence as a squeaky-clean, wholesome family man with four daughters was a beacon of hope, that one day he’d adopt me! I would find safety and a kind of pureness in my life. But if I wrote these sections only as a tribute, or like a love letter to Pat Boone (note that his biggest pop single is “Love Letters in the Sand”), the reader would sigh and think, well, isn’t that sweet: Sue has a crush on Pat Boone. Dinty: Well, Sue does have a crush on Pat Boone, but the result seemed anything but boring. The chapters were alive, surprising, playful, and managed to span your various points-of-view seamlessly. What did you find to make this work? Sue: In order to bring the reader fully inside the experience, I juxtaposed the voice that portrays this crush on Pat Boone with another voice that contains a healthy dose of irony and humor – given the difference in our core beliefs. In other words, on the one hand, he is a caring person who saw the real me. The last time we met – backstage in a green room after his 2005 Christmas concert – I wore a jacket with a flower embroidered on it. He said to me that I reminded him of a flower growing up through concrete. My own father had certainly never seen me this way! So Pat Boone was/is the father figure who really noticed me, acknowledged me. Because of this, I care for him in a deep, human way. On the other hand, he’s a conservative Christian, so it is ironic that a Jewish, liberal, Democrat, feminist, etc., would have a crush on an active member of the Tea Party. He’s friends with Sarah Palin, for goodness sake! Politically, I don’t agree with anything he represents. So I had to discover various voices in order to convey the complexities of this rather surreal relationship: funny, ironic, sad, heartfelt. Since this book is a series of thematically linked sections, I had to “hear” the right voice for each – voices to best represent these different aspects of who I am in my search for identity and belonging. Dinty: One of the more playful chapters in the book is “Prepositioning John Travolta.” I love the wordplay, the experimentalism, the surface chicanery that works to shed light on the deeper storylines: a painful divorce, a serious illness, the omnipresent longing. And yet it is a funny chapter, as well. Quite the juggling act? Thus began the slippery slope! I mean, how could I find my own identity if I couldn’t even figure out something as simple as a few prepositions? I also wanted the language to reflect my inner confusion. Sometimes, writing memoir, I get caught up sorting out the different strands of an experience. But, at the same time, it’s important to use language itself to embody the experience. After finishing my second memoir I spent about a year writing poetry, and I think that helped me to branch out further in my prose, to take more chances. Dinty: Has Pat Boone read the book? Sue: I sent him an autographed copy, and I received a lovely letter in return. It starts by saying: “Hi dear lady, Thanks, thanks, thanks!” And he tells me how much it means to him that he “helped me through some difficult times,” that he’s thankful I wrote a book “with my name in it….” He adds that he looks forward to reading it, but no, he hasn’t actually read it yet as far as I know. But I’m a bit nervous about his reaction to this book as a whole. I mean for the book to be a tribute, but one that’s conflicted – given the seeming impossibility that I’d have a life-long crush on a member of the Tea Party! I hope he understands the honor of the tribute but also understands – and accepts – the irony! Sue: Well, it is a totally crazy world! Okay, for those who haven’t read the book, this line is the opening sentence of Pat Boone’s first e-mail to me, after he read that stand-alone essay I just mentioned. A high school friend of Pat Boone’s happened to read the essay in a literary magazine and sent it to Pat, so how he came to read it is itself improbable and crazy. It’s also amazing and crazy that Pat Boone then formally invites me to that Christmas concert of his in Michigan, where he arranges for me to have a real conversation with him backstage. And crazy that I finally, sort-of, and all-too-briefly, get the father I always wanted, one who saw the real me. Yes, a crazy world, huh? Or huh! 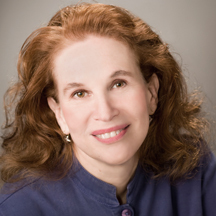 Sue William Silverman‘s other works include the memoirs Love Sick: One Woman’s Journey through Sexual Addiction, which is also a Lifetime TV movie, and Because I Remember Terror, Father, I Remember You,which won the Association of Writers and Writing Programs award in creative nonfiction, and a craft book, Fearless Confessions: A Writer’s Guide to Memoir. As a professional speaker, Sue has appeared on The View, Anderson Cooper 360, and more. She teaches in the MFA in Writing Program at Vermont College of Fine Arts. Thank you so much, Richard! That means a lot to me! Kim, thank you so much! I’m delighted!! Great interview and I’m getting the book on Friday. I hate waiting for paydays! Teri, thank you so much! And I’m *delighted* that you’ll be getting the book on Friday! That really means a lot to me!! Sue, you provided some great insights on how a book of essays comes together. Thank you! Pat Boone is related to Daniel Boone! His ancestor fought for the freedom and won! You are currently reading The Pat Boone Paradox at BREVITY's Nonfiction Blog.